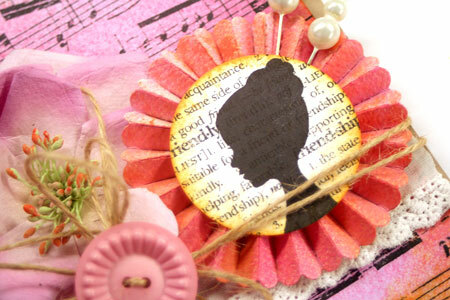 It’s great to be back at my craft desk again and busy working away. 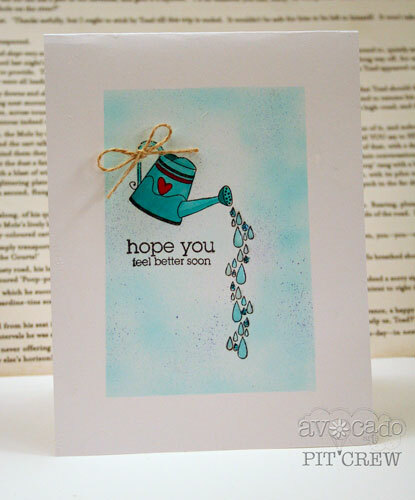 Yesterday I created this clean and simple but sweet card using the latest Avocado Arts release. I love big fat embellished designs but I often love to just get back to the basics of stamps, ink and one sheet of paper. 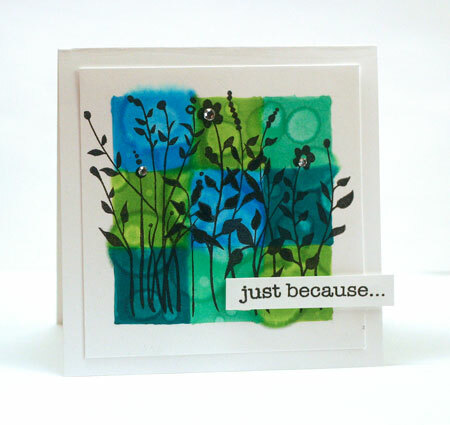 Breaking up the visual space on a one layer card is easy to do with a little ink and a mask. 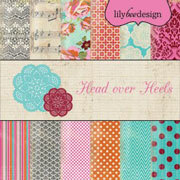 To mask off an even border around this design, I used some Tissue Tape and then airbrushed the center space. I didn’t even bother to mask off the watering can and other images as I was using a really light Copic Marker – B00 Frost. The images were all stamped in Tuxedo Black Memento Ink so that it would work well with the Copic Markers. After coloring in the sweet Wishes and Kind Thoughts images, I also added a little Copic Marker “splatter” by placing the brush end of my marker into the Airbrush system. Glossy Accents and some Stickles accent the water droplets and add some shimmer and shine. It’s Canadian Thanksgiving today and I’m so excited to be spending the day with my family, cooking pie and turkey and just enjoying all my blessings. I hope today is a day of blessing for you to, even if it’s not Thanksgiving where you are. Every day is a good day to count your blessings. This card uses the Autumn Greetings Market Street Stamps set and be working a little masking magic, I’ve turned the sweet pumpkin into a lovely festive container for the fall flower bouquet. Eclipse Tape is my favorite product for masking. It really can’t be beat for precision. To mask this little arrangement I first stamped the flowers and only inked up the blossoms and not the stems. After stamping the flowers, I restamped them onto the masking tape and carefully cut out the image. The more care you take in precision cutting, the better and cleaner your masking will appear. Cover up the flower image with the cut out masking tape and then stamp the pumpkin. I’ve then colored the image with my Copic Markers to finish it off. 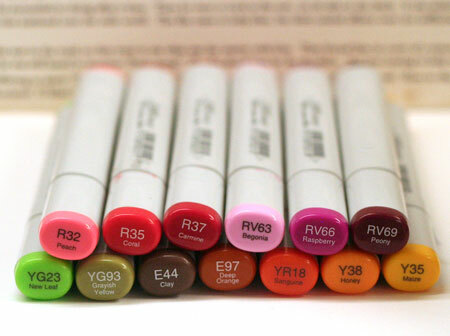 Here’s the Copic Marker colors that I used. I’m always looking for fun new things to try. Ways to get more use out of things I already have on hand. I love my Copic Markers but lately they’ve been getting a tad dusty. It was long past time to dig them out and have some creative fun. While I was thinking about my markers, it occurred to me that I have two large bottles of Copic Blending Solution sitting in my cupboards. I should be using it. The Color-Bleed Grid Technique is what I came up with. I hope you’ll join me today in the CLASSroom for the tutorial and step outs. Have a super fabulous weekend all! Today I’m excited to be back in the CLASSroom. 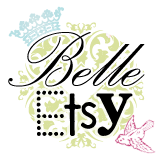 I love sharing crafting ideas and tutorials there. Since I saw the beautiful Basic Grey Lace Stickers, I’ve been dying to try this idea out. It really makes lace pop. Nothing much new in my life…just enjoying some summer weather finally. Lake days are the best. 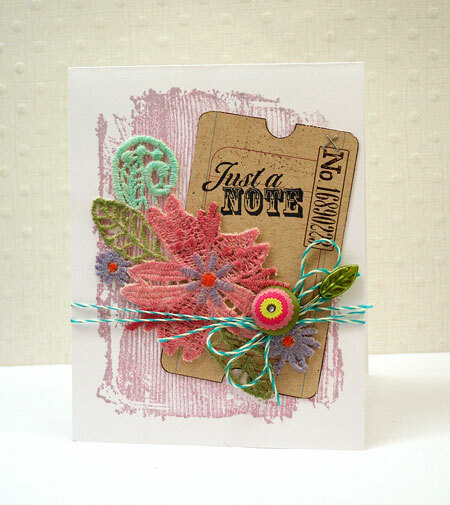 Today I’m “sew excited” to share a card for the latest Moxie Fab World challenge. The I’m Sew Excited Challenge. With a love of sewing, how COULD I resist?! Want to play along? There’s still time if you hurry! I’ve also added in some machine stitching as every sewing themed project needs a little of that, right? Lastly the wide Light Teal ribbon is cut with pinking shears from my sewing box. To create my image, I’ve used two distinct stamps. 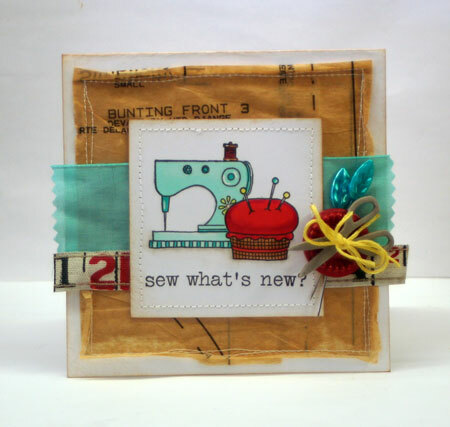 A sweet little sewing machine and a pincushion from the Hero Arts Sew Artsy stamp set. The pin cushion was stamped first as it is in the foreground. It was then masked with Eclipse Tape and then the sewing machine was stamped. Love how they look together. Quick Tip: Sewing tissue is really thin so folding it a few times before stitching it on adds more depth to the color of the layer. Hope your day is “sew” special! Oh how I love misting. It’s so great for adding a hit of color. It’s fabulous for making something your own. It makes me feel oh so artsy. 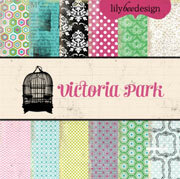 How you seen the new Paper Crafts Stamp It: Techniques issue? Another thing to love, love, love. Life happened and I didn’t get time to submit to that issue but I tell you…it is inspiring me now! So many great ideas! 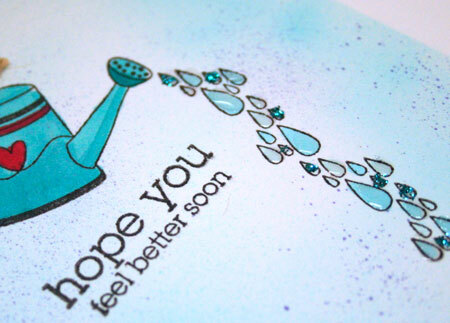 This card features two misted elements. The background was created by stamping the music background onto white cardstock and then spritzing/misting with Viva Pink and Timeless Lilac Glimmer Mist. So pretty! I just let it blend and quickly dry with my heat gun to keep that splotchy, artsy look. The edges of the layer were then sponged with Marmalade Distress Ink to tie the color combo together. My second misting adventure came in making the sweet rosette. I wanted the paper to really absorb the color for a saturated effect so I die cut the rosette from watercolor paper. It was first sprayed with Timeless Lilac and then I added in some Tiger Lily and Viva Pink. Love how it turned out! 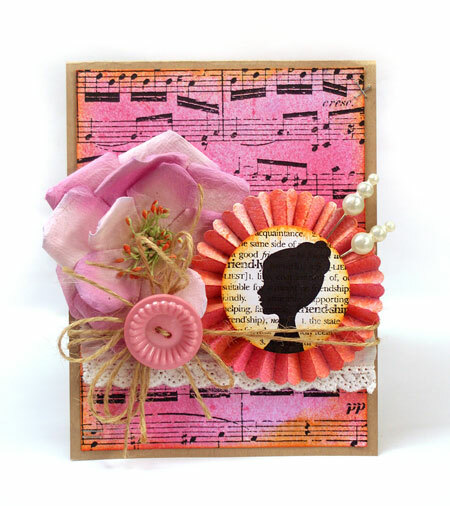 This card actually fits two challenges as I used a silhouette image for the rosette center. 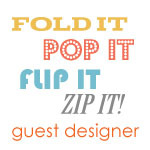 This week’s Ways to Use it Challenge is Silhouettes and it’s a great trend. It’s the first full week back to school. I have a lot of plans. I’m actually looking forward to them all but getting back to sewing really sounds great to me. There is a lot of fabric stashed away just waiting for my needle. 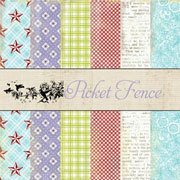 I thought it would be fun to create a card using quilting squares I picked up at a local quilting shop. 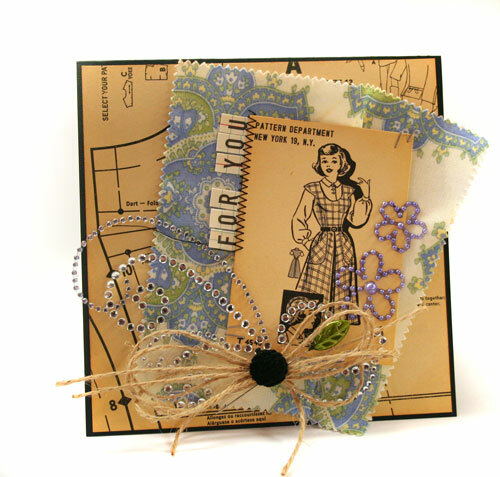 The fabric is by Moda and paired together with some fun sewing themed patterned paper, makes a unique card. Every feminine card needs a bit of bling, right? 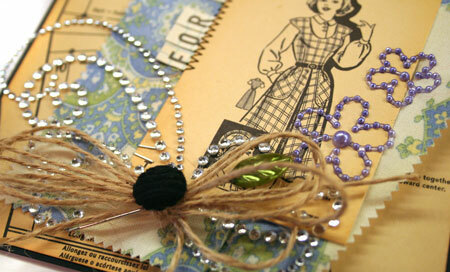 The Zva Creative crystals and pearls were a great embellishment. If you’re familiar with Zva product, you’ll know that their product line doesn’t include purple. The beautiful pearl flower accents were originally white and came as part of the butterfly set PES03CA101 from this post. Zva crystals and pearls are so easy to alter and customize with the Copic Airbrush System. Just spray with your marker and airbrush attachment. It only takes seconds and about a minute to dry.